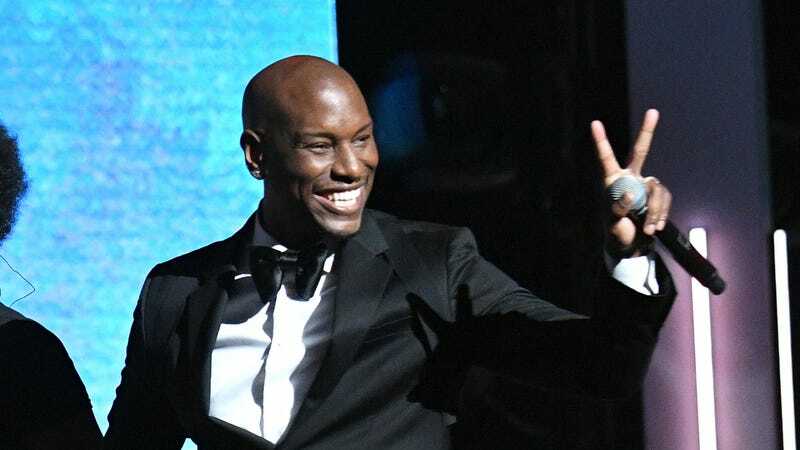 Tyrese Gibson has spent the better part of this year making headlines for public displays of messiness—from professional drama with his Fast & Furious costars to the ongoing custody battle with his ex-wife—so the latest one should have been of no surprise to anyone. But here I am, surprised. Jada-Pinkett Smith and my brother Will Smith just sent us 5 million dollars to help keep us afloat- You’ve guys asked me to get off and stay off the Internet now that my daughters legal fees will be paid ! While Twitter is an easy place to exaggerate the truth—it’s tough to provide enough context in 140 characters—no essential detail appears to be missing here. Yes, Tyrese claimed Will and Jada gave him $5 million to Tyrese to stay off Instagram (and the rest of the internet). And yes, he told us this on Instagram. Since sharing the news that Will and Jada Pinkett-Smith gave him $5 million dollars to keep him “afloat” in exchange for him staying “off the internet,” Tyrese has shared four (4) videos, seven (7) photos, four (4) tweets, and two (2) Facebook posts. Back in 2007, Tyrese was investigated for allegedly punching Norma when she was five months pregnant with Shayla. He went on to say that “more women need to be pushed to power,” and that sexual harassment should also be “a men’s issue,” which (per the AP) means men should “call out inappropriate behavior” when they see it. Completely unrelated: Sophie Turner and Joe Jonas’s engagement party appears to have been hell on earth.